Durability with comfort each time you wear them. 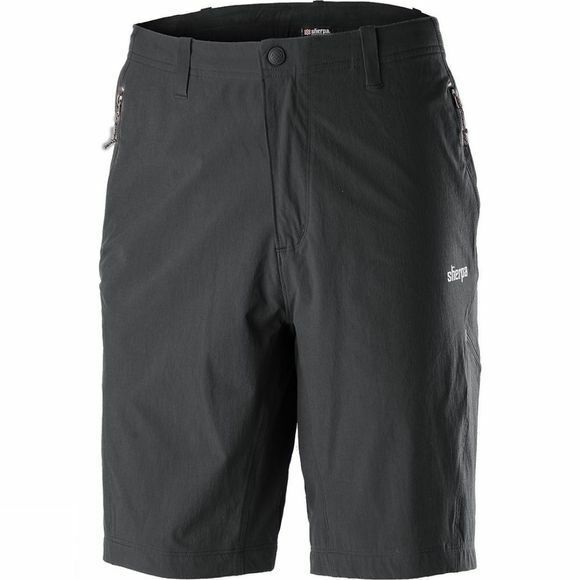 The Sherpa Khumbu Shorts for men offer a brilliant combination of nylon and elastane to ensure you get durability with comfort each time you wear them. They have an inseam gusset to ensure you have full freedom of movement, while the hand, thigh and back pockets can keep your essentials safe regardless of what angle you might have found yourself at. The inside of the waistband has a tricot lining for extra soft comfort while low profile belt loops keep this level of comfort even when a harness or pack straps might be used.